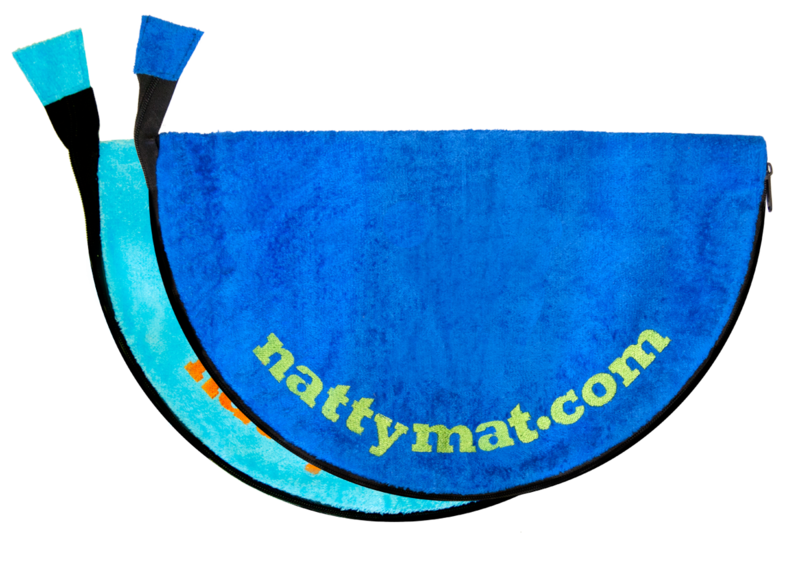 Home / NattyMat / NattyMat – Buy 2 save £1 and P&P! 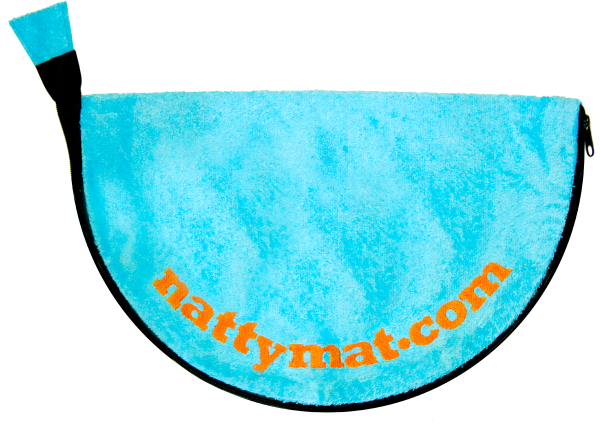 NATTYMAT IS A NEW AND UNIQUE FOOT PROTECTION CHANGING MAT DESIGNED TO KEEP NASTY BACTERIA AWAY FROM YOUR FEET. 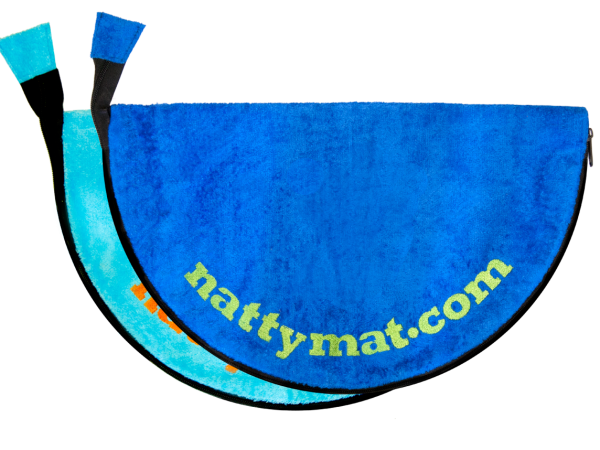 NATTYMAT HAS A TOUGH WATERPROOF ‘FLOOR-SIDE’ AND A SOFT MICROFIBRE & BAMBOO MIX FOR THE ‘FOOT-SIDE’. 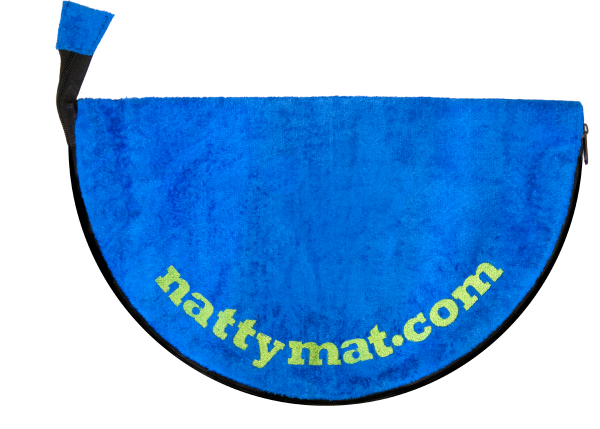 AFTER SPORT, THE GYM OR SWIMMING, SIMPLY UNZIP NATTYMAT, PLACE THE WATERPROOF SIDE AGAINST THE FLOOR AND STAND ON THE SOFT SIDE TO REMAIN CLEAN AND PROTECTED FROM CONTAMINATION. JUST DRY OFF AND GET YOUR SHOES ON, THEN ZIP-UP YOUR FLIP FLOPS, SWIMMERS OR SHORTS IN YOUR NATTYMAT, KEEPING THEM HYGIENICALLY AWAY FROM OTHER BELONGINGS IN YOUR BAG. Open size: 40x50cm Folded size: 40x25cm Light weight: 100gms Rolls or folds to fit in your pocket. NattyMat™ is enhanced with a natural Bamboo fibre blended at 60% in the Microfibre* mix which makes the NattyMat not only incredibly useful but more powerful in protecting feet against infection from changing room floors at swimming pools with young children and of course all sporting activities which involve communal changing facilities. Apart from that, Bamboo is proven to have anti-bacterial and anti-fungal properties, which stops any nasty infection growing on the fibres in the fabric. It is also highly absorbent and retains moisture more readily than other fabrics so allowing a nicer 'feel' on your feet than a damp towel or squidgy t-shirt. Ecologically, Bamboo grows without any help from fertilisers or crop treatments and can rise several feet a day. NattyMat will always look after the environmental process in its actions to bring you Natty products. Open size: 40x50cm Folded size: 40x25cm Light weight: 100gms Rolls or folds to fit in your pocket.